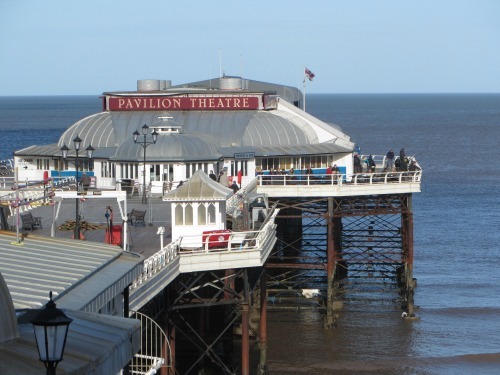 Cromer beach and pier are part of the quintessentially Victorian seaside resort of Cromer, on the popular North Norfolk coast. 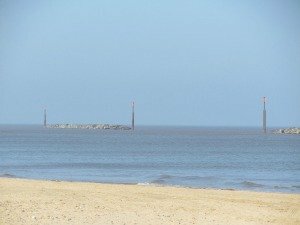 And with so many attractions, it’s no surprise that this Norfolk coastal town is the first choice of holiday destination for many families, and the beach is definitely one of the main reasons why this Norfolk town gets picked for holidays time and time again. 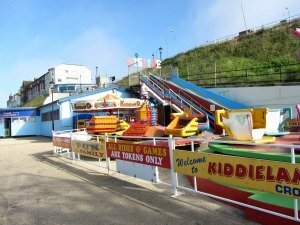 Just up the road from Sheringham and West Runton, and just around the corner from Overstrand, Cromer beach, just like many other Norfolk beaches, has so much to offer, from the little fun fair on the promenade to a museum on the beach front, to the wonderful iconic Pier with its Pavilion Theatre and lifeboat station at the end. 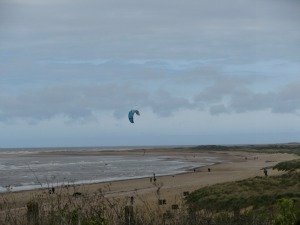 Never a dull moment. 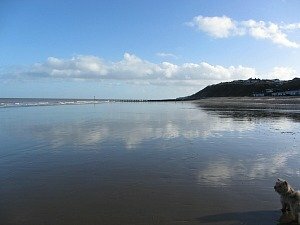 Time seems to stand still in Cromer. 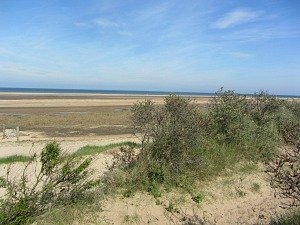 Even though it’s very popular in the summer, you still get huge pleasure from this lovely and very unspoilt beach. 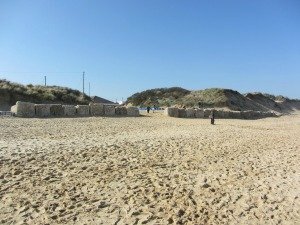 It manages to remain uncommercial, unlike Great Yarmouth beach, keeping its original charm, and continues to feel like an old seaside resort, a real lure to those wanting something a little bit special. 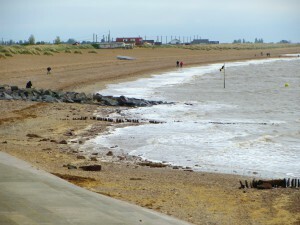 Hunstanton beach is the other Norfolk beach that has attractions right on the seafront. 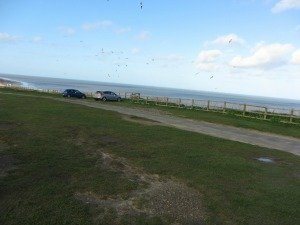 But if you do feel like something a bit quieter, why not pop along to the adjacent beach of Overstrand, a short drive away. 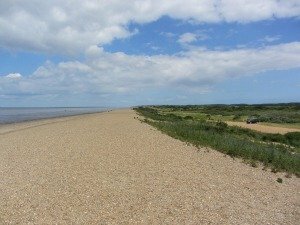 This is a lovely long stretch of beach without any attractions at all. 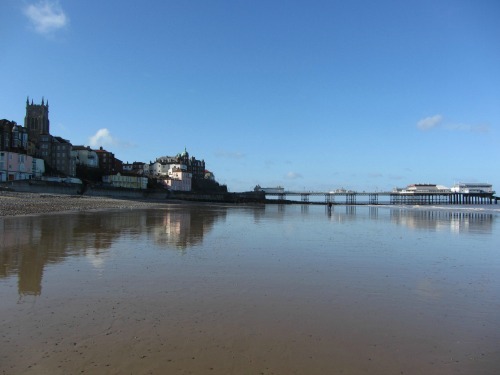 When the tide is out at Cromer beach, you’re left with amazing stretches of beautiful sand, plenty of room to play, walk and build sandcastles. 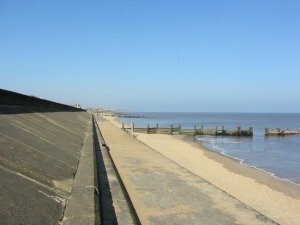 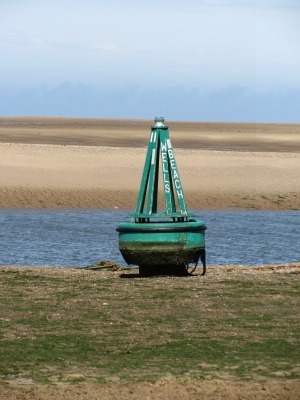 The beach is patrolled by lifeguards in the summer months, so it’s a nice safe Norfolk beach for families. 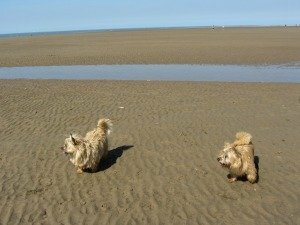 There are, as usual, dog restrictions in the summer months. 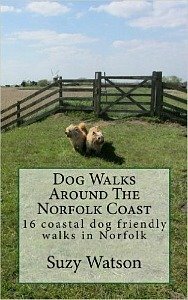 Find out more about the Norfolk Dog Friendly Beaches here. 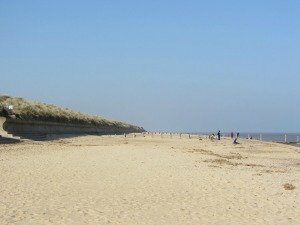 And don’t forget that it won the Blue Flag, yet again, in 2015, along with Sheringham beach, Sea Palling, Hunstanton and Mundesley, so they should be beautifully clean and well maintained. 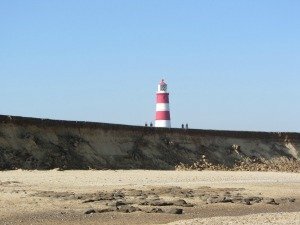 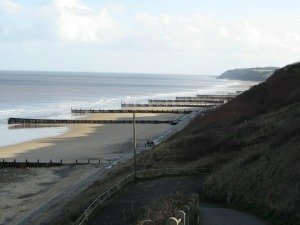 If you want to get away from the crowds, all you have to do is simply walk east or west away from the Pier, and you can reach East and West Runton or Overstrand, and you’ll also enjoy the open beaches to yourself. 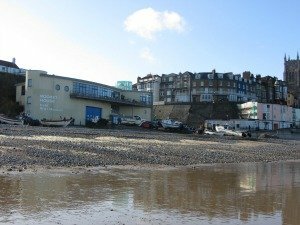 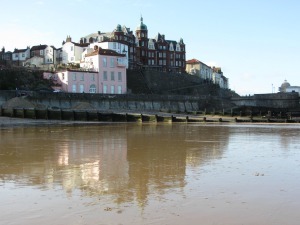 However, when the tide is in, you are left with shingle and pebbles, quite similar to Sheringham, but there is so much to see and do around Cromer that it never seems to matter at what stage the tide is at! 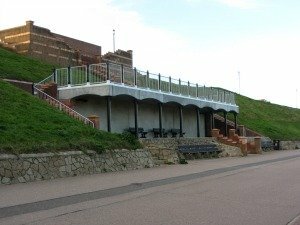 One word of warning: The walk from the cliff top car park down to the promenade and beach is quite steep. 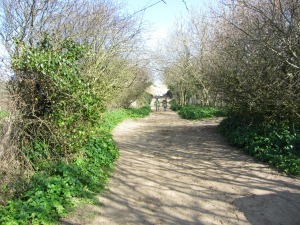 You either have a tarmac incline or steps, so if you are not terribly fit, you might struggle to get back up. 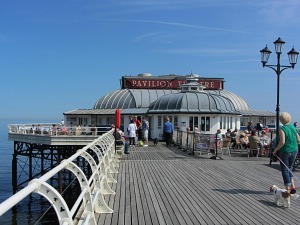 There is, however, some disabled parking for blue badge holders on the promenade. 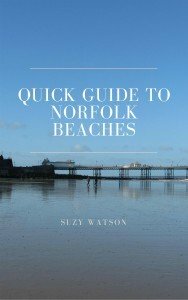 If you don’t actually want to go onto the beach, there’s still plenty for you to do. 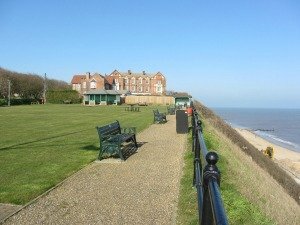 You can enjoy a walk along the bustling promenade and take in the scenery of Cromer town from the Pier, visit the RNLI Henry Blogg museum on the beach front (which also has a café) or Cromer Museum by the church, or take a cliff walk along the top of Cromer overlooking the beach, or maybe just relax in one of the many independent cafés, tea rooms or restaurants in and amongst the town. 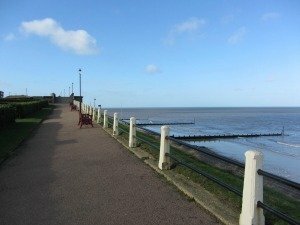 There is so much to do for everyone. 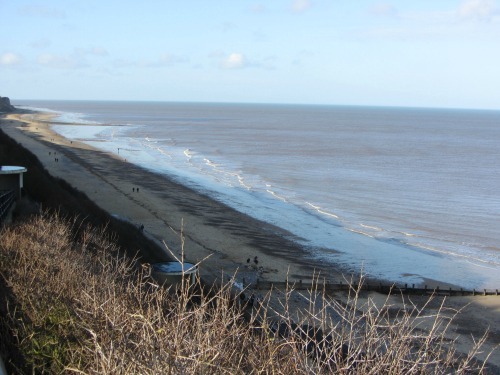 The Norfolk Coast Path walk used to stop here at Cromer, but in December 2014 it was extended to Sea Palling, to form part of the England Coast Path. 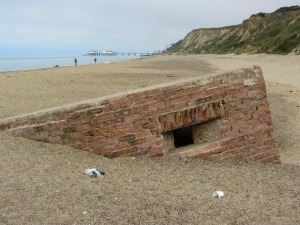 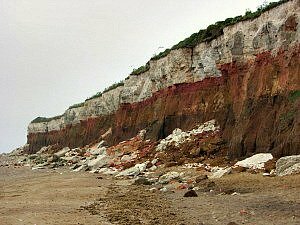 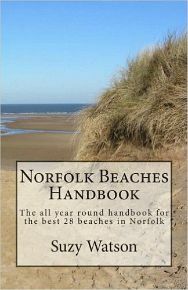 It now takes in the wonderful cliffs of Trimingham and Mundesley and Happisburgh. 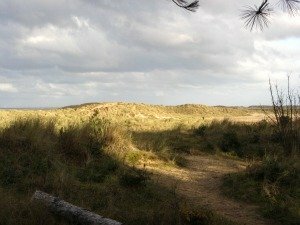 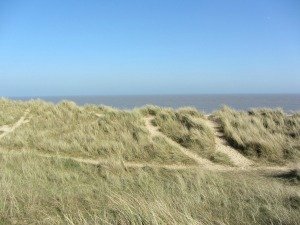 It makes for a most fantastic walking holiday from Hunstanton to Sea Palling, the scenery is stunning and the wildlife second to none. 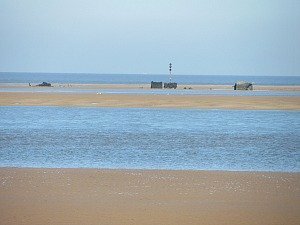 If you’re lucky with the tide times, you may even catch the fishermen returning with their crab catch of the day, a vital source of income for the fishermen. 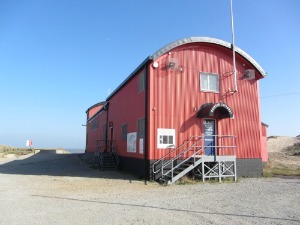 This is still a very traditional business here and extremely important to the local community. 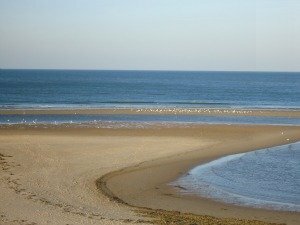 It’s such a scenic beach, you won’t be disappointed that you visited this one. The lovely wet sand as the tide goes out is so pretty, just come and see for yourself.